Following four days off, a selection of Barça players returned to training this Tuesday morning at the Ciutat Esportiva Joan Gamper. With a large part of the squad still away on international duty, there will be a steady stream of players reincorporating into the group over the course of the week. 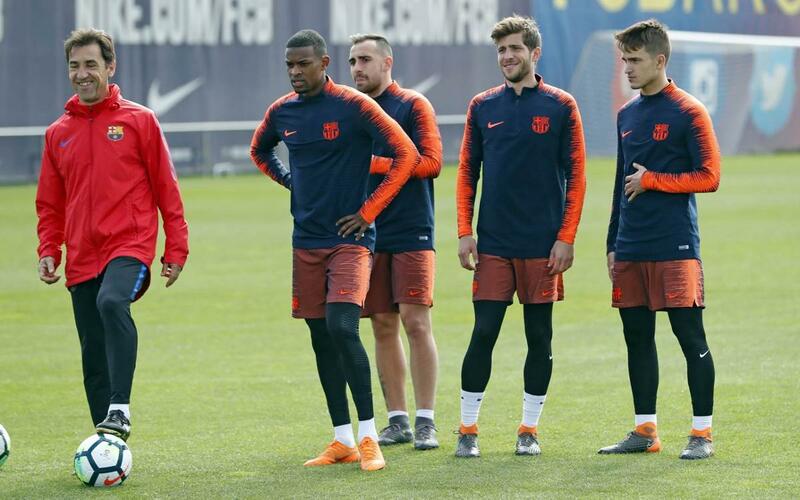 The five first team players in attendance today were Semedo, Denis, Paco Alcácer, Sergi Roberto and Aleix Vidal, alongside Barça B's Aleñá. ErnestoValverde began preparations for this weekend's match against Sevilla FC, which takes place on Saturday at 8:45p CET. Whilst the two teams meet in LaLiga at the Sánchez Pizjuán on Matchday 30, they will also play one another next month in the Copa del Rey final -at the Wanda Metropolitano in Madrid.